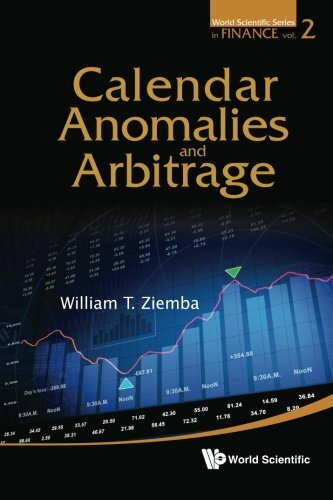 This book discusses calendar or seasonal anomalies in worldwide equity markets as well as arbitrage and risk arbitrage. A complete update of Us anomalies such as the January turn-of-the year, turn-of-the-month, January barometer, sell in May and go away, holidays, days of the week, options expiry and other effects is given concentrating on the futures markets where these anomalies can be easily applied. Other effects that lend themselves to modified buy and hold cash strategies include the presidential election and factor models based on fundamental anomalies. The ideas have been used successfully by the author in personal and managed accounts and hedge funds. If you have any questions about this product by World Scientific Publishing Company, contact us by completing and submitting the form below. If you are looking for a specif part number, please include it with your message.